This little one was a real challenge to make. What is it used for? Maybe a tea ceremony? Who knows. It was hard to visualise and know where to start. I first roughly carved a block of wood into an oblong shape, and from here, I smoothed one edge, drew on the design and carved the shape in one plane. I then rotated the wood 90 degrees and did the other plane. This gave a kind of square spoon with a point. I then rounded it to the final shape and took out of much of the inside of the cap, to form the spoon head. The handle was becoming so delicate towards the end I thought I was going to snap it! More of a small bowl than a spoon really. There’s a big crack running through the side of it, I didn’t think it would go so deep, it’s a bit fragile because of this. (You can see the black line on the inside). There was also a small weird knot on the back, at least I thought it was a knot, it seemed soft so I poked the tip of my knife and out came a weird bug of some sort, wiggling on the end! Freeaky! Poor guy, entered and then left the world with a knife through his head. He had probably been waiting for ages. Annnd I’m back on track spoon wise. Found a branch of juniper cut down whilst hiking past a nearby farm a few weeks ago. Juniper is a protected species in Finland and quite rare compared to the other dominant species, so pretty chuffed I found it. This spoon was inspired by similar designs I have seen on the internet recently and thought I’d try one myself. Still takes me ages to make them, if I were a spoon maker a would be broke! Still managed to make all of them so far with just hand tools, so might try to continue doing that for the rest of the year. Still a week behind but will hopefully finish this weeks spoon over the next few days to catch up. Yep still a week behind… Oops. Quite a tricky bit of wood to work this one, not sure why, the grain wasn’t that hard, but was slicing funny at times. Tried some flat bevels on the back which turned out alright. Grain came out a treat after an oil. The skin on my left thumb is like an alligators back now after all this whittling! This is last week’s spoon, I am falling behind schedule! 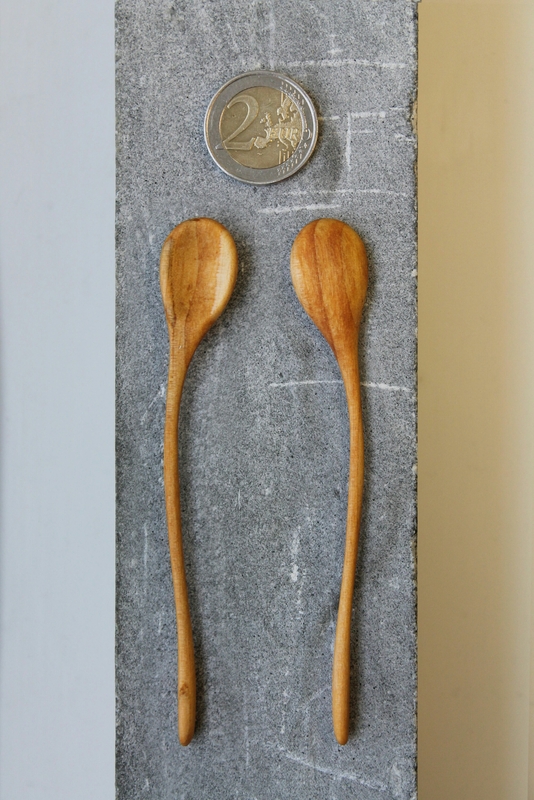 Again in silver birch heart wood – seem to have quite a lot of that hanging around and it’s lovely to work with. A sharp, spikey spoon that doesn’t really fit in your mouth, is an urgonomical disaster and culinary-wise not much use for anything. On the upside, you can use it to de-ice your car window and as self-protection against vampires. This spoon is made from a section of an old dead spruce tree I was using for fire wood whilst on a recent skiing trip. The beauty about this tree, (and similar small pines and spruces) is that through years of slow growth the grain is extremely tight – the tree must have been around 80 years old or more, but was no more than 5m tall with a trunk diameter of 12cm or so. This is because of the environment the tree grew in: at 70° North of the equator it is subject to long, cold, dark winters, with no sun for months of this, and this tree, on the outskirts of a bog and surrounded by much larger trees would be fighting to get light and nutrients. Many trees will stay small till a neighbouring tree falls, giving them the opportunity to grow. This one however died before it got the chance. 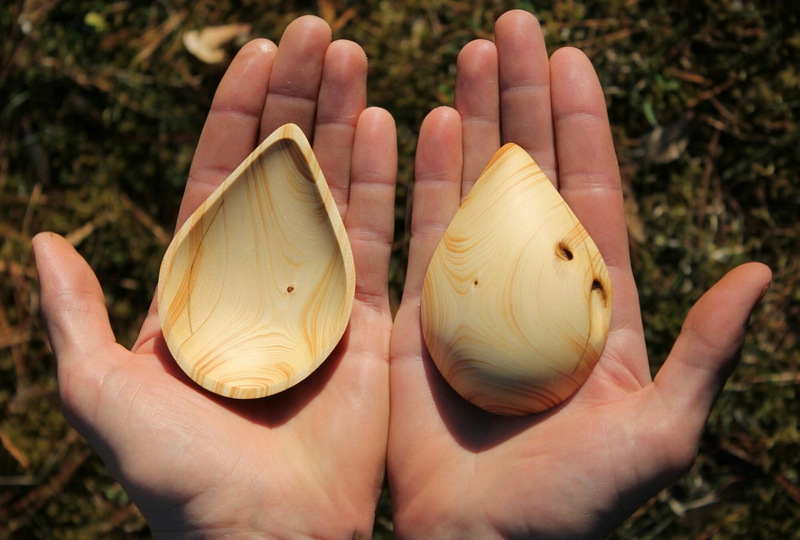 This is birch heart wood, not aspen as I thought so in some previous spoons. Heart wood is the lower portion of the tree – the oldest and hardest part. Often looks quite different to other sections of the tree, and in Silver birch it has a lovely shimmer to it. 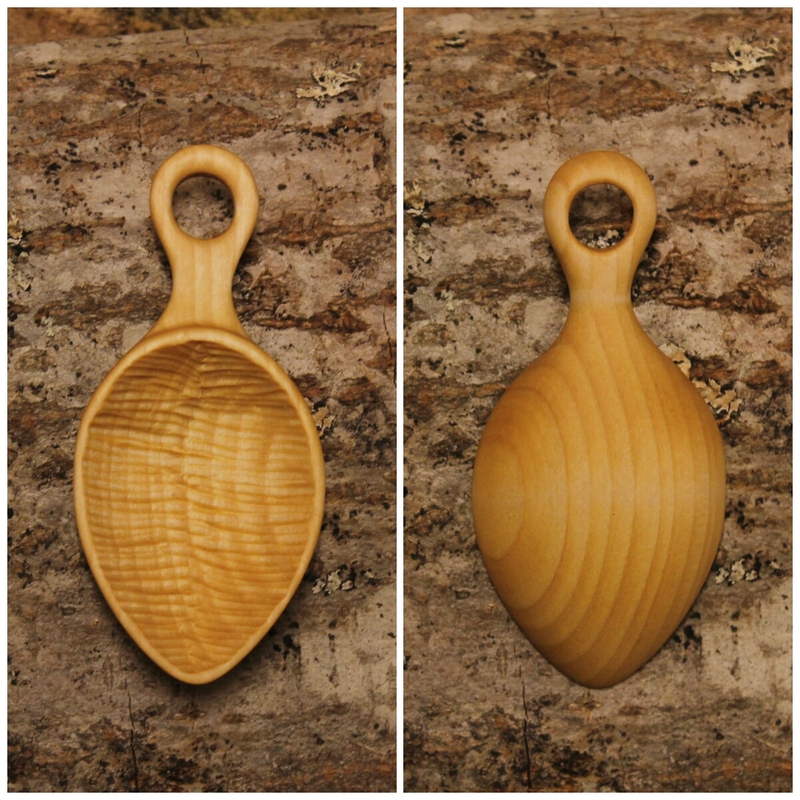 Usually tough stuff to carve, but after working on the kuksa for several weeks this felt like butter (well, almost). Ever needed a spoon to get the olive out of your martini? I didn’t think so, but here’s one for you anyway! This spoon was a nightmare to make! I didn’t enjoy the process at all. Mainly because I was rushing to make it yesterday. 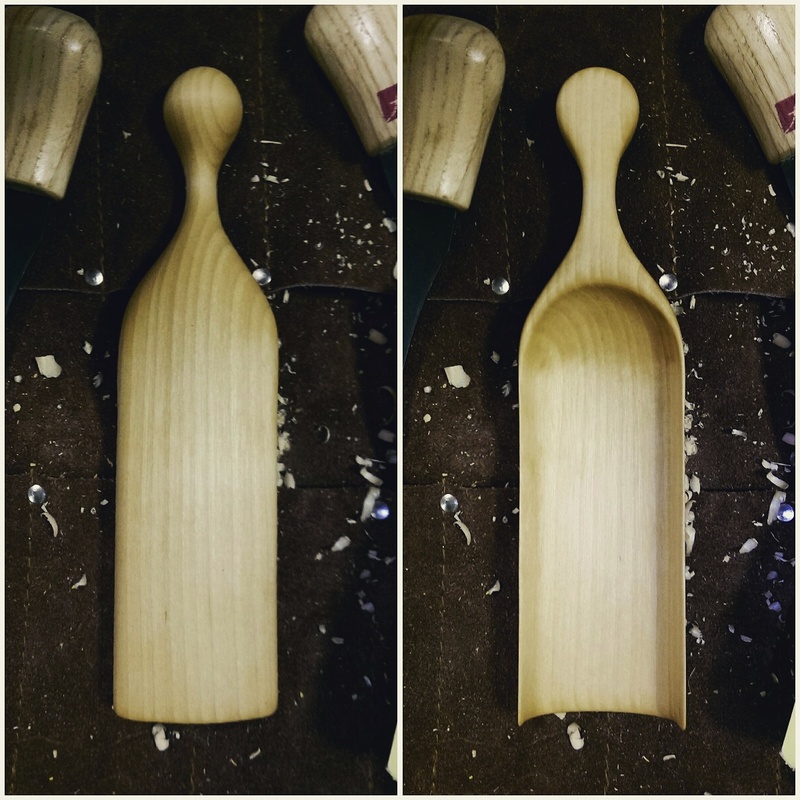 It was a complete test of patience and I learnt that you should never rush a spoon – carving and rushing don’t go hand in hand. I intended it to look nothing like this. 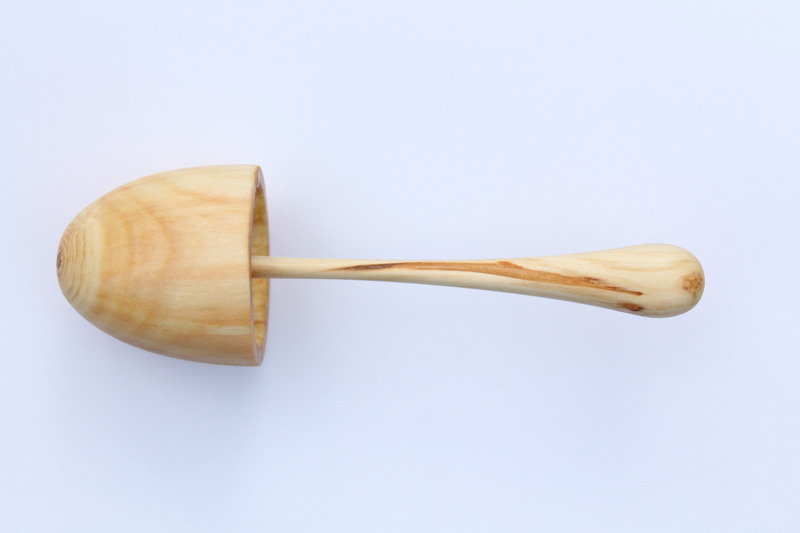 It started as a strange double ended number, but after numerous cracks and snaps in the wood whilst carving, the design completely changed and the spoon gradually got smaller and smaller. I nearly gave up with it many times, but glad I persevered. Although it resembles the original idea in no way whatsoever I kinda like this little guy. This is last week’s spoon, finished it in the early hours last night. 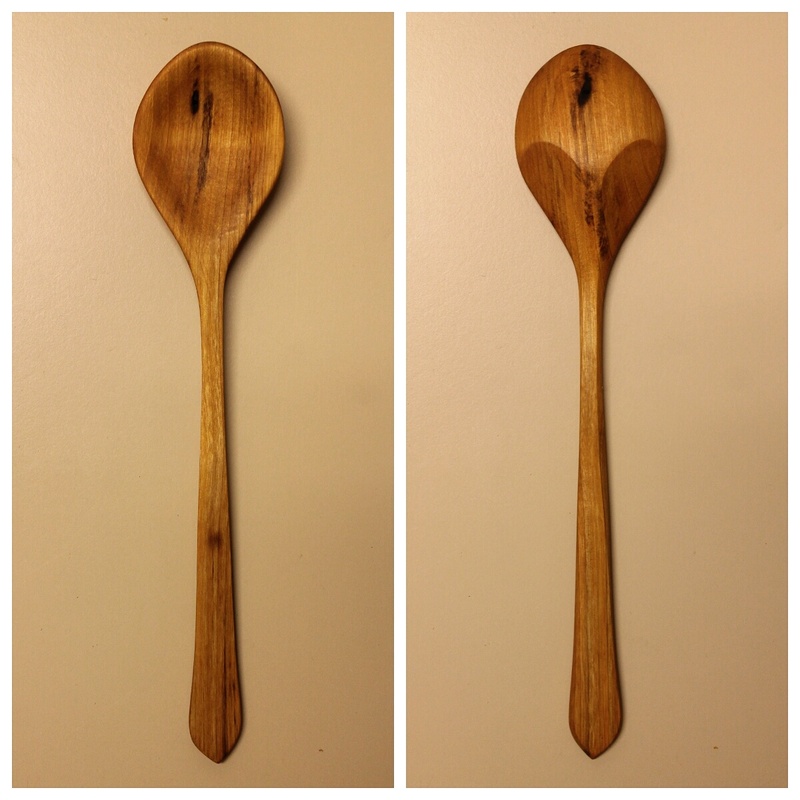 Just went with the wood on this one and a left handed spoon emerged. First attempt at leaving the bark on and quite like the result. The alder has a lovely orange tinge to it and is really light to hold. Can’t believe it’s the 11th week of the year already!! They’re bloody flying by! 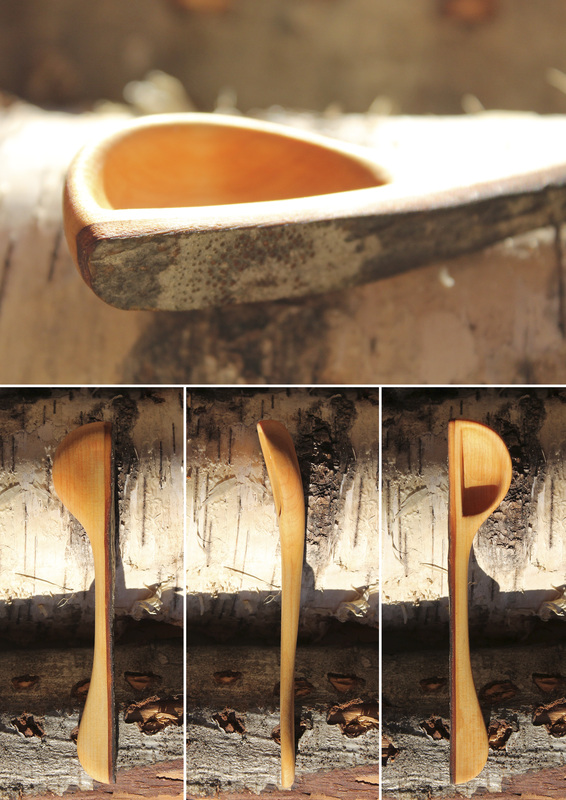 Spoon 10 of 52 – The Sand Scoop in Silver Birch. Spoon 10! Finished this last Sunday at approximately 11.46pm. During this week I was doing practical training as an assistant guide for mid to long distance skiing tours in eastern Finland.